We just had hardwood flooring installed. So we thought we would write a post about the best ways to look after your hardwood floor. Keep it looking pristine for many years. Now how do you take care of it and keep it that way without having to do a lot of work. You have invested a lot of money in your new floor. It will also cause your home to increase in value as well a great deal. 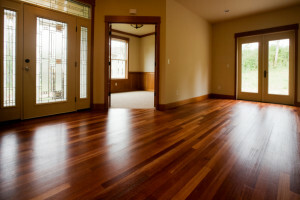 If you maintain the floor, it will only continue to enhance your home’s value especially when it comes time to sell it. Do not wear shoes inside your home, They track in dirt and grit which can scratch your floors and overtime leave a dull finish. This is probably one of the most important tips to remember. 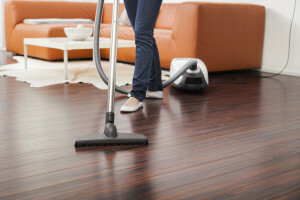 Vacuum often to remove dust and also grit that makes it onto your floors from your clothes, from shoes, dust that is blown in from outside and even dust blowing in through the windows. Keeping your floors very clean will enhance the floors and keep them looking great for years. Wipe up spills immediately before the liquid can ruin the finish on your floor and also fall between the cracks causing the wood to swell. Place coasters under furniture feet to avoid pressure points from the feet of the furniture that leave indentations in your floor that cannot be easily removed. Close blinds to decrease bleaching by the sun. It is truly amazing just how much the sun can bleach the floor leaving a two tone floor, one area where the furniture was and the other area where the furniture was not sitting. Do not drag furniture across floors to avoid scratching the floor and leaving marks. Lift the furniture and carry it across the floor. Wash the floors with a damp mop to remove in dirt and grit that may have stuck to the floor. Never allow any liquid to stay on the floor especially when you are mopping the floor with a mop. It should be only damp and not wet. Never use any abrasive material or any soap that could damage the finish on the floor. Hardwood floors will last a lot longer if you take some simple precautions. They do not take a great deal of work. Your home will also be worth much more when it comes time to sell it. The hardwood floors should be in good to great condition. Prospective buyers are interested in gleaming and shiny floors that they do not have to have refinished. They want to avoid the work, the expense and the challenge of having floors refinished while trying to move in to their new homes. Good hardwood flooring installers sometimes can be hard to find. Home owners who are looking for hardwood flooring installers should know a little about the installation process so that they can evaluate the installers that they may be hiring. Otherwise you are simply hiring someone that the store may have recommended or who has installed a floor for a friend of yours. He may do a fine job and then again he might not. By knowing something about the process, and assessing what approach the installer will take with your floor, you can increase the odds of a fantastic job that you will be satisfied with for many years. Hardwood Floor Preparation – always ensure that the sub floor is clean, smooth and structurally sound. Either screw nail the existing sub floor to the joists underneath or add a 5/8 sheet of plywood to the floor and screw nail it to the existing sub floor to avoid any possibilities of a squeaking floor when someone walks across it. Adding an additional subfloor will add some sound proofing, but will also raise the floor by 5/8 inches, which will have to be adjusted for when it meets other types of flooring. You may also have to shave 5/8 inches off the bottom of doors as well at entry points. Concrete floors should be handled in a different manner. Considerations for Wood Floor Installation – hardwood floors come in different varieties such as engineered or solid wood flooring. Engineered flooring will not warp or twist, however there is only a solid wood veneer on the flooring over layers of wood. Solid wood flooring should be acclimatized to the home before being laid and it can be sanded many times to renew the perfect look you want after many years of high traffic use. If there is a crawl space underneath, protect the flooring by installing a vapor barrier and also ensure that the crawl space is properly vented. Planning is everything and do it yourselfers need to investigate and plan how they will start. Determine the direction of the floor joists and install the wood floor planking perpendicular to them. Begin with the longest and most visible straight wall. Most walls in homes and rooms for that matter are not perfectly straight nor are the rooms square. Starting with the most visible and longest will ensure that your rooms floor aligns with the most visible portion. If you need to install a vapor barrier, install it first, and stable it to the floor to hold it in place. Using a chalk line mark a line that is ½ inch from the wall. This is the location of the first board that will be put in place. Mark the locations of the joists so that you will nail this first board at all joist locations. Once you have the chalk line in place, pre-drill holes in the first board close to the edge that will be against the wall. Nail your first board along the chalk line and counter sink the nails. The holes will be filled with wood putty later to cover the holes. Complete the first board and then step back and check for alignment to the wall, straightness of the first board and confirm that this critical first step has been done correctly. The next rows can now be installed. Cut boards in such a manner that the joints do not line up with joints in previous rows. This will add strength to the floor and also add texture and beauty to the floor. Begin installing the remaining rows using a hardwood floor nailer, making sure that all boards are securely in place before nailing. 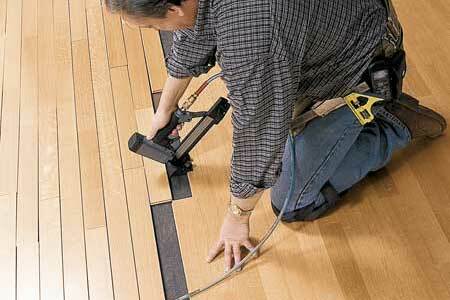 Continue laying the rest of the hardwood floor using the nailer until you reach the other wall. These boards will need to be hand nailed using the predrilled approach and wood putty to seal the holes. The last bit of wood to be put in place are the baseboards. You left a ½ inch space between the hardwood floor and the wall for expansion. The base boards will cover this space nicely. Many people will paint the baseboards first before installing them. Fill nail holes with wood putty and then touch up with paint to finish the overall look. Junctions with doors and other floors should also be considered, however this is the subject of another post. We recently purchased a Hardwood floor Vacuum Electrolux Ergorapido Ultra cordless 2 in 1 stick and hand vacuum from Costco. The price was right and the lowest we had found in any of the shops that sell these types of vacuums. We paid $69 US for this vacuum which comes with a removable hand vacuum to get at small locations or if you just need to clean up a small spill of some kind. What a great little machine! 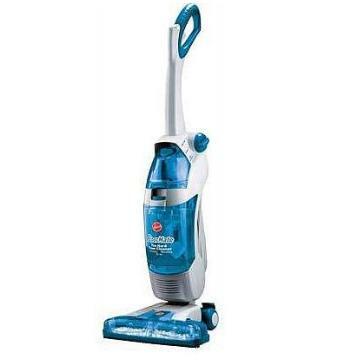 This particular vacuum appealed to us specifically because of the two in one package. You can use it as a stick or wand style vacuum or you can remove the had vacuum portion to get at small harder to get at locations. 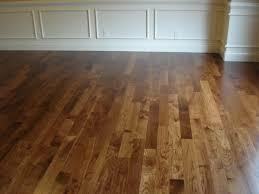 It also appealed to us because you can use it on hardwood floors as well which is what we have throughout our home. This was an important criteria, since we are very concerned about the floors being scratched. For anyone with hardwood flooring, this requirement is critical since the last thing you want to do when you are vacuuming is to scratch your floor. It is rechargeable and so you do not need to drag around a chord and find a place to plug it in every time you want to use it. This is a big advantage for many people who want to do a quick cleaning before the guests show up or to clean up a small mess without having to drag out the big vacuum. We have read reports that some consumers find that the battery does not retain a charge very long and over time the battery lasts for a shorter and shorter time. This is a problem for any rechargeable tool. Following the manufacturer’s recommendations for initial charging and ongoing charging cycles will ensure that you get maximum use out of the battery . Most recommend that you fully charge the battery before using it for the first time. Secondly always drain the battery completely before recharging it. This way you will avoid the battery taking on what many people call the memory effect. The vac functions very well on all the floors and rugs in the kitchen and hallway. The power head swivels almost like a dyson ball vac. It is a hand vac as well. The vacuum comes with a little brush and a crevice tool for use with the hand vac. The charging stand is small and very easy to use. Emptying the cup is easy. The biggest complaint is that the battery does not last long enough. However it really is not meant for covering a large area. This is for quick mess cleanup on rugs as well as hardwood floors and small rooms. We have found you can vacuum several rooms before it needs to be recharged. If you have this particular vacuum please leave us your comments. Also if you have another model let us know what you think regarding its application on hardwood floors. Whether you install the hardwood floor yourself or have someone do it for you is not the most critical issue for consumers. Selecting perfect flooring can be a challenge for many people. The most important is to make the right choices in selecting floor coverings in the first place regardless of whether it is hardwood flooring or something else. We happen to think that hardwood and tile are by far the best things to use for your floors, but then we are bit biased. Here are a few of the issues we thing are important that you should take into account when you are trying to decide on the hardwood floor you will purchase. Creating great looking hardwood floors in your home requires several important functional and design considerations to get it right. Whether you are considering natural hardwood floors,bamboo, or even laminate flooring – paying close attention to these7 tips will help you make sure that your home is just the way you want it. There are thousands of colors and styles to select from today. As a result it can seem like a daunting task to make the right flooring choice. Narrowing the field down is recommended to you select a flooring style that complements your home and your overall interior design style. Nothing will look worse that a glaring clash of styles,so make sure your new flooring complements your existing (or planned) interior design. Formulate a complete design style for your home and then select styles that will fit into this design. Almost every installation will have physical or functional requirements that may further narrow down the scope and selection of an appropriate hardwood or laminate flooring systems. The quantity and type of traffic you expect on your floors will impact the flooring material you can choose. Laminates offer high durability, as well as wood species that have high”hardness rankings” on the Janka scale. Softer woods are generally not a good selection for high traffic areas. Take into account were you plan to place throw rugs as well to help with the traffic issues and look and feel of your home. The quality of any new hardwood flooring installation can only be as good as the sub floor underneath. For the best outcomes,the sub floor should be dry, stable, and level.You may need to add a layer of plywood to provide extra support. At the minimum, screw nail any areas that may move or cause squeaks before installing your hardwood floor. Concrete sub floors generally are only acceptable for laminate installations, but you should be mindful of installing a quality underlay that provides an appropriate moisture barrier as well as good sound installation. To prevent warping and cupping of floors make sure there is adequate ventilation and regulated temperatures thought the year. Avoid any possibility of water on the floor or under the floor from leaks or from high humidity. Laminates work best in areas that experience higher humidity levels. The time and cost of installation is an often overlooked factor in floor selection decisions. Obtain a separate quote for installation to help you decide if you will do the installation your self or hire a professional. Glue less click-style floating laminate floor systems can be a weekend project for experienced do-it-yourselfers, and can save a lot of installation labor. Other flooring installation methods are generally more complex and may require professional installation in most cases. Making a successful claim under a flooring warranty often requires that you can demonstrate the product was installed exactly as per the manufactures recommendations. And that the damage is not a product of wear and tear or poor workmanship. Hiring a professional installer. Deal with a large brand name product that has an established track record is your best protection. For more information about hardwood floor selection, click here. More and more people are choosing hardwood flooring over carpet and other finishes. Timeless beauty, clean lines, strength and durability as well as the ease of cleaning and the classic look make hardwood flooring the perfect choice for your home. Hardwood flooring delivers another benefit as well that allergy sufferers appreciate. Lint and dust cannot build up on your hardwood floor the way it can on rugs. Install a central vac with the exhaust outside and you have the best situation for allergy sufferers. No matter what your personal style is, there is a flooring choice for you because of the unlimited selection of colors, stains, board widths and styles available. But before you rush out shopping for your hardwood flooring, there are a number of tips to keep in mind. These are basic tips, but may save you a lot of money as well as ensure that you will be satisfied with the final installation. Always set a budget for yourself. Having a wide variety of flooring to choose from is great, but the downside is that it is easy spend more and to get overwhelmed quickly. This can mean that you end up overspending past your budget if you are not careful. Remember to balance style with quality with your budget when you make your final choice. Select something that enhances the sales value of your home as well. If you are unsure about what is or is not the right choice from this perspective, enlist the help of a real estate agent. You will be wise to match the room with your choice of flooring, whether hardwood or otherwise. For example, do not try to put hardwood flooring in a bathroom or a kitchen, due to the high levels of moisture a bathroom receives or food being dropped on the floor in a kitchen. Different areas of the house demand different types of wood. For example, wood floors that have very light or very dark finishes typically do not fare well in the kitchen. You really should not mix and match different colors of flooring, unless the rooms that are being covered with hardwood flooring are physically separated. Rooms that run into each other, should really have the same flooring. Choose a hardwood flooring that has an appropriate finish to match your lifestyle and the traffic in that room. A sitting room that is seldom used will let you get away with a lighter finish. However a hallway or living room will get continual traffic and requires a choice that offers a tougher finish that can stand up to a lot of wear and tear. Alternatively placing area rugs along high traffic areas will preserve your floors and offer contrast as well. DIY – Do It Your Self? Consider installation – doing it yourself to save money or having a professional installer do a high quality job for you? Many people successfully install their own flooring, but only after they have done their homework. It is often easier to hire a professional, however the cost will more than double in many cases. Do your due diligence when selecting a hardwood flooring installer, talk to friends, ask for references and even visit homes were the installer has performed the work. You will want to be absolutely sure that it will be installed correctly. Choosing the color and style of the floor can be the fun part for you and spouse. Choose a hardwood that matches your personal taste and your lifestyle without breaking the bank. The comparatively high cost of the flooring and installation demands choosing a wood that will not go out of style quickly. After all you do not want to replace the floor in a few years. Comments are welcome about these tips and others. For more information about hardwood floor selection, click here. Hardwood flooring adds warmth and beauty to your home. Real estate agents will tell you that houses with hardwood flooring will sell for more easily and will sell faster than houses without hardwood floors. They always say that you never get out of your house what you invest in it in terms of additions and upgrades. However hardwood floors could be the one exception. Most people today would prefer hardwood flooring in their homes for many reasons. We will cover some of the the Hardwood Flooring Basics in this post. Hardwood floors are not high maintenance. In fact they are less maintenance than rug floors and do not get near as dirty. If you have allergies, switching to a hardwood floor will make a huge difference for you, especially if you install a central vacuum system that has the exhaust outside of the home. The finishes are tough and of course like everything in your home, you need to take care of your floors. They will last for many years! Regarding the environment, wood is actually much better than using rugs for your floors. Wood is also a good choice for allergy sufferers since its surface doesn’t collect dust, dander and other allergens. Would can be regrown in the forest and it lasts for many years with proper care. Strip – A floor made up of wood strips averaging 2″ in width. Strip flooring is ideal for small rooms as it makes the room seem larger than it actually is. Place the strips with the grain running lengthwise to make small rooms look even larger. Plank – Plank flooring uses larger wood boards ranging from 3″to 6″ in width. Same thing applies in terms of direction to run the planks. Parquet – This popular style is made up of wooden pieces that combine to create an attractive pattern. The simplest parquet pattern is a 6″ x 6″ checkerboard design, but there is really no limit to how complex a parquet floor pattern can become. Wood floors can be protected by a transparent varnish that lets the wood’s natural tint show through or they can be stained any color you like to compliment any decor scheme. Over 50 different species of woods are used in wood flooring, including familiar domestic woods such as Pine, Oak, and Maple as well as more exotic woods like Bamboo, Mesquite and Teak. All of these woods vary in hardness and wear resistance, so consider the traffic patterns where they will be installed. A hardwood floor will last many years if maintained properly. Always remove your outdoor shoes before walking on your floor. Leave them at the entrance to your home and have a mat to step on when you come in from outside. This mat will trap all kinds of loose particles and grit that could scratch your flooring. Vacuum often, at least once a week to remove all dirt and grit that could scratch your floor. If you feel that a lot of grit is being tracked into your home from outside, vacuum these areas more often. Pets can bring a lot of dander, pollen and dirt into the home if they are outside a lot. Install a central vacuum with the exhaust outside to remove all dust particles, even the fine ones to reduce the dust in your home and also to reduce the impact on allergies if someone in your family suffers from allergies. With proper care your flooring will last many years without the need to refinish your hardwood floors. Hardwood flooring not only will set the tone for the style of your home but it will also add many years of value and enjoyment. Buyers are looking for hardwood floors that are in excellent condition. No one wants carpeting any longer when they purchase a home. This is a trend that has been going on for some time and if you are going to spend money on your home, spend it on hardwood floors. Today the trend is to have hardwood floors installed in new homes and to replace wall to wall rugs with hardwood flooring. There are lots of choices for the consumer and many do it yourself stores as well as venders that specialize in hardwood flooring can help you with selecting flooring that meets your lifestyle and needs. Many consumers are also moving to hardwood floors for another reason. Carpets inherently collect dust and over the years become quite dirty even with frequent vacuuming and cleaning. 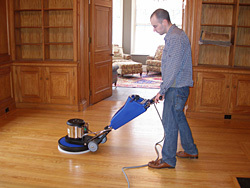 Hardwood floors on the other hand can be kept much cleaners since there is really no where for the dust to collect. Hardwood floors add value to your home and will ensure that you are able to obtain full price for your home whenever you plan to sell it. If you are dealing with allergies, a hardwood floor is much preferred with a central vacuum that exhausts outside of your home to reduce the dust and pollen that enters your home every day. No hardwood floor material is as stunning and rich as a Brazilian cherry hardwood floor. This material has such a great look it is often used for other applications such as exposed beams, door frames, furniture and anywhere else that its beauty will be enjoyed. If you are interested in installing new hardwood flooring here is some information about Brazilian cherry hardwood floor that will open your eyes to this great wood. 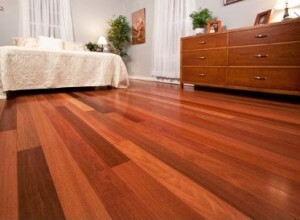 Brazilian cherry hardwood floor is the most widely imported hardwood flooring from Brazil to the US. This popularity is no coincidence. This species of wood is well known not only for its unique and dark color but for its hardness and ability to withstand use. This exotic species is over 2 times as strong as red oak. The color of the wood will begin as a tan or lighter brown color but darkens with age to become very deep reddish brown. If you are considering hardwood flooring, and are uncertain about what to purchase there are tools available to assist you with your decision. Readers can develop a chart that lists the variables that are important to them in their decision choice and indicate which ones are important to them. You will find variations in grade within this species of wood however overall this is an exceptional wood to use for flooring. As a guide, clear grade will have less character than other grades and consists mainly of heartwood. Select grades of Brazilian cherry hardwood floor have more character such as color variation as well as knots. There are also common grades 1 and 2. Common 2 will show more character than 1. If you are looking for flooring that will stand out and also be very functional then Brazilian cherry hardwood floor is right for you. This species of wood is durable, colorful and has its own unique style. When you look at installing a new hardwood floor, be sure to take a good look at Brazilian cherry. Be different and use a hardwood that many consumers avoid just because it is different. Consumers can have hardwood flooring installed in their homes by professionals who can complete the job in less than a week depending on the size of the home and how many rooms are being completed. This is a job that most consumers would rather leave to the professionals so the job is done correctly and completed within a short period of time. Visit our site map for other interesting articles on hardwood floors. For more information on Hardwood floor selection, click here. Common knowledge states that hardwood floors are a great investment for a homeowner, both for personal enjoyment as well as adding value to your home when you decide to sell your home. They add a certain charm and character to a home that can’t be replicated by laminates, carpeting, or any other type of flooring. However, the investment does not stop with the decision to purchase hardwood for your flooring. To retain the value, the hardwood must be properly cared for and maintained just like any other flooring. Fortunately, with a few simple, easy, inexpensive steps, your hardwood flooring will always remain in perfect shape. In the longer term you may have to sand your flooring and apply stain, however this really depends on how well you care for your floor as well as how much foot traffic it receives. Murphy’s works great on wooden furniture, but don’t make the mistake of using it on your hardwood floors. You won’t notice anything wrong after applying it once, but if used consistently, residue will build up and leave your floor with a dull appearance. A Dry Swiffer is great for collecting dust, dirt, and pet hair from your floors, and it is also less abrasive than a vacuum cleaner. However, a Wet Swiffer can cause major long-term damage. The chemicals in the cleaning solution can break down the urethane finish on your floor and leave it dull, faded, and lifeless. Place area rugs anywhere that might collect water or receive lots of traffic. Prime areas are in front of the refrigerator, by the dishwasher, and near any sinks. If you do spill liquid on the floor clean it up quickly and if the rug is wet or even damp, take the rug outside or place it somewhere, were it can dry before placing it back on the floor. Make sure that the floor is protected in any spot that is susceptible to minor leaks and water collection. A pool of water is the quickest way to destroy your floor. Use floor mats in spots where people step on the hardwood directly after being outside. Do not allow people to walk around your home with shoes on. In particular, high heeled women’s shoes are really bad for leaving marks on the floor. In addition to protecting against wet or muddy footprints, floor mats will help collect any sharp or abrasive materials stuck in the treads of shoes. This step will help prevent accidental scraping or scratching. Or better yet, lift the furniture off the ground instead of sliding it across your hardwood floor. If felt pads must be used, please make sure that they are free of any debris. Place pads under all furniture feet to avoid leaving a permanent mark on the floor from the contact of the furniture with the floor. Even if a tiny little object like a staple is under that pad when heavy furniture is set upon it,your floor could receive some serious gouges. These steps will help ensure that your home retains its value by protecting your hardwood floors against major damage. 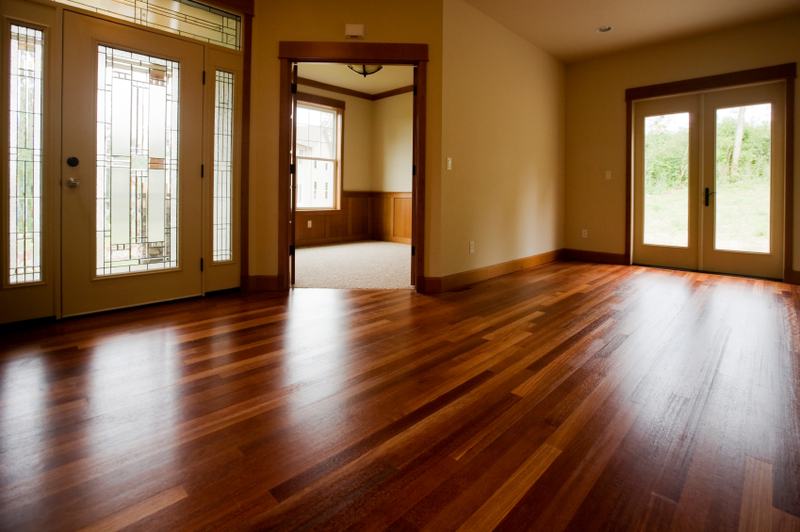 A gleaming clean and unmarked hardwood floor will add thousands of dollars to the value of your home. Accidents do happen, however, no matter how careful you are. Clean up immediately to avoid any long term damage to the floor. If your floor becomes damaged, and requires repairs, contact the manufacturer or the installer for advice.